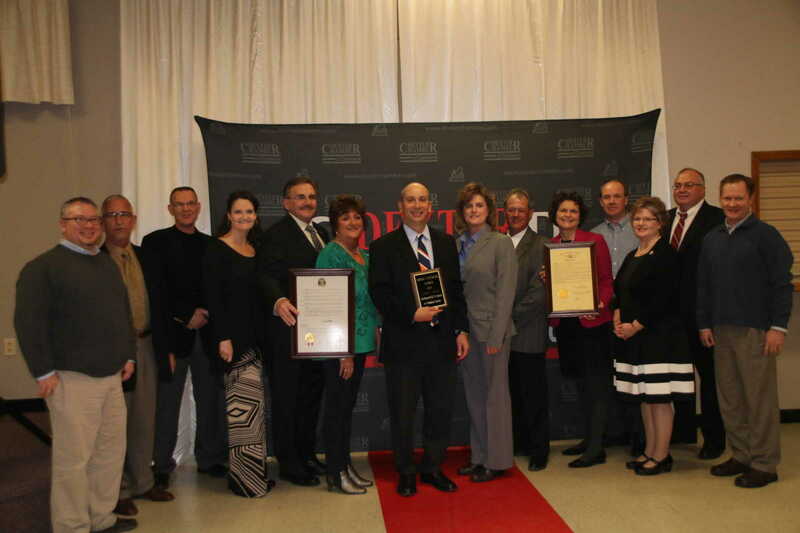 Dexter's Chamber of Commerce held their Annual Awards Dinner banquet, the "Red Carpet Awards," on the evening of Saturday, Jan. 24, 2015, presenting awards to the 2014 Organization of the Year, the 2014 Small Business of the Year, the 2014 Business of the Year, the 2014 Industry of the Year, and finally the 2014 Educator of the Year. A complete story on the awards and their recipients will appear in the Tuesday, Jan. 27 edition of The Daily Statesman. The Stoddard County ARC was named Organization of the Year at the Jan. 24 Chamber of Commerce Red Carpet Awards Banquet. From left are Sen Doug Libla, Chamber President Kevin Bishop, ARC Board President Tonya Guthrie, and State Representative Tila Hubrecht. 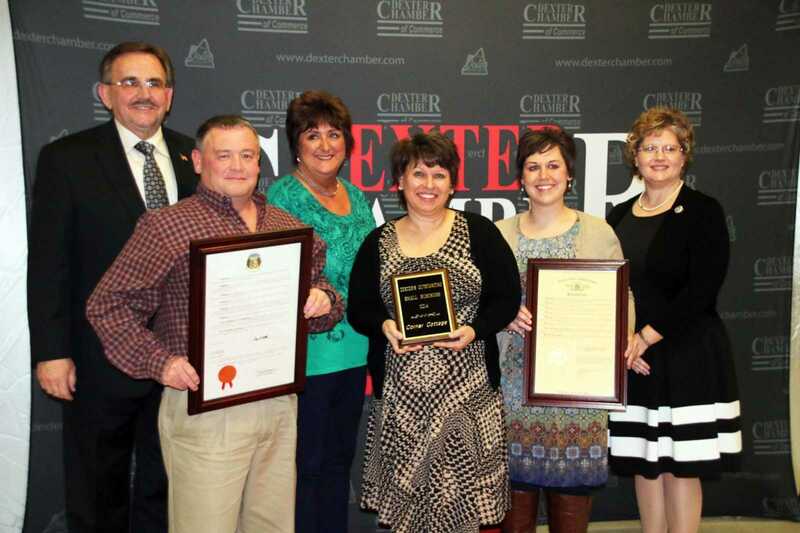 Honored as Small Business of the Year was The Corner Cottage. 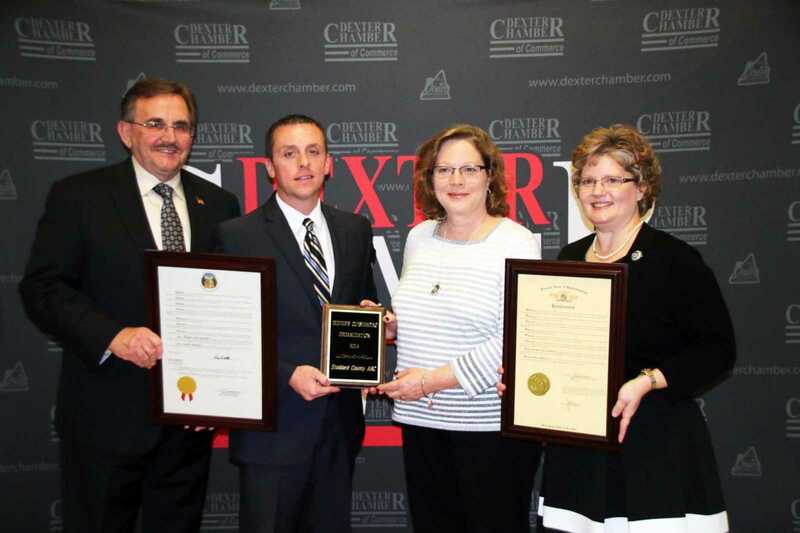 Shown with Sen. Doug Libla at left and Rep. Tila Hubrecht, at right, are Owner Gary Williams, Debbie Stidham of the Chamber, Owner Kim Williams, and the Williams' daughter, Jansen Williams. Representatives of SoutheastHEALTH Center of Stoddard County are pictured with their awards for having been named the 2014 Business of the Year. At center is the hospital's CEO, Adam Bracks. 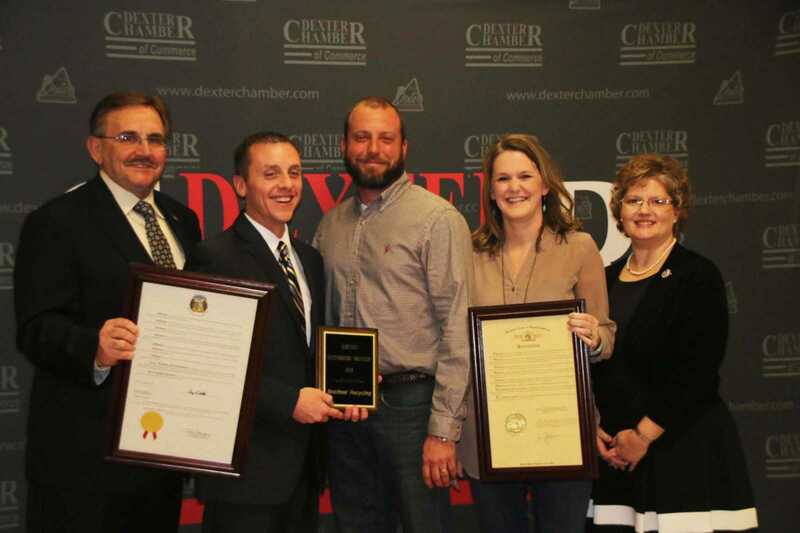 Selected as Industry of the Year was Bootheel Recycling, whose owners, Mark and Kristie Booker are pictured with Sen. Doug Libla, Chamber President Kevin Bishop and at right, Rep. Tila Hubrecht. Veteran math teacher, Anita Joyner, was honored as Educator of the Year. 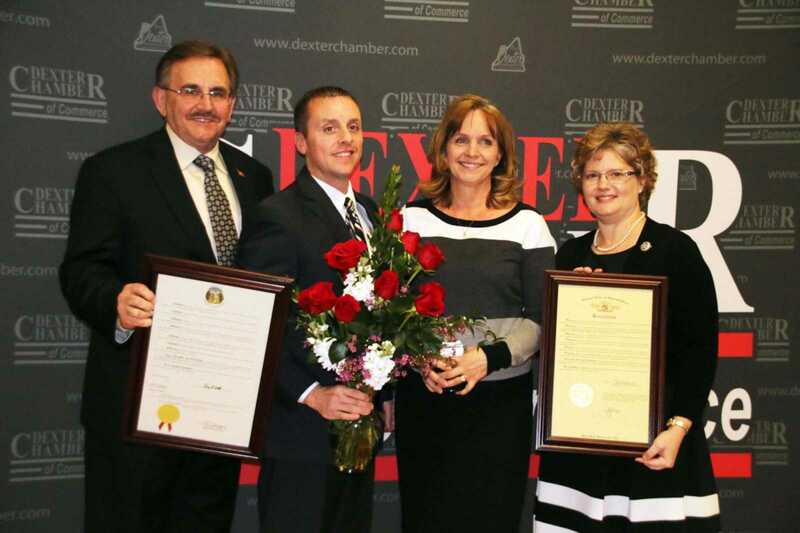 She is pictured with Sen. Doug Libla, Chamber President Kevin Bishop and at right, Rep. Tila Hubrecht. A full story will appear in the Tuesday, Jan. 27 edition of The Daily Statesman.